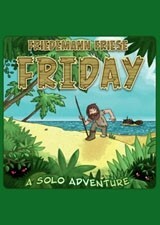 Great solitaire deck-building game with crazy theme and game twists you expect from Friedemann Friese!! A pleasure to play!! Short game play!! Med-simple to learn!! Not so simple to master.